Michael received his Bachelor’s Degree in History from Bellarmine College in Louisville, Kentucky in 1994. He attended The University of Louisville in 1996 and earned a Master of Arts in Teaching in Secondary Education. Michael received his Law Degree from The Florida Coastal School of Law in 2000. Michael concentrates his practice defending workers’ compensation cases and other related labor and employment matters. 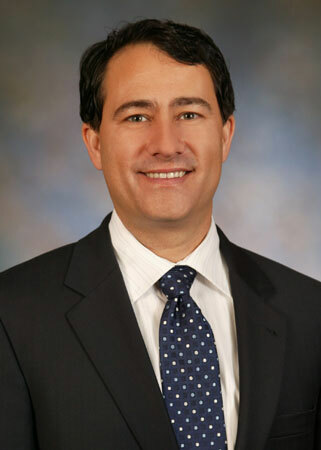 Michael joined the firm in 2000 in the Jacksonville office and subsequently relocated in the firm’s Pensacola office to aggressively defend claims. Michael has been the firm’s managing attorney for the Tallahassee office since 2004 and presently handles claims in the Tallahassee and Panama City districts. Michael has successfully represented clients before the First District Court of Appeals. He has handled final merit hearings in District A-East (Tallahassee), District A-Central (Panama City), District A-West (Pensacola) and District B (Gainesville). He has testified as a witness for the State of Florida against defendants in criminal court on charges of workers’ compensation fraud. He is a member of the American Bar Association, the Florida Bar Association (Workers’ Compensation Section) and the Tallahassee Claims Association. Michael is certified as an instructor in workers’ compensation by the Florida Department of Insurance. Michael has lectured at various seminars, including continuing education classes for workers’ compensation claims professionals. Michael is a member of the Tallahassee Gulf Winds Track Club and the Capital City Cyclists.